The Royal Escape Race represents great value for a sponsor interested in reaching the diverse sailing community of Sussex and further afield. With a target in 2015 to attract 100 boats to the starting line, the immediate audience of actual race participants and race followers taking part in the crossing and the day of celebrations in France will be in the region of 500 people, all receptive to messages from our supporting sponsors. There is no other occasion this early in the sailing season where so many of our local sailors, family and friends are so focussed in one place. Lets not forget that although this is a yachting event, the surplus from all the effort goes to hugely worthwhile causes. 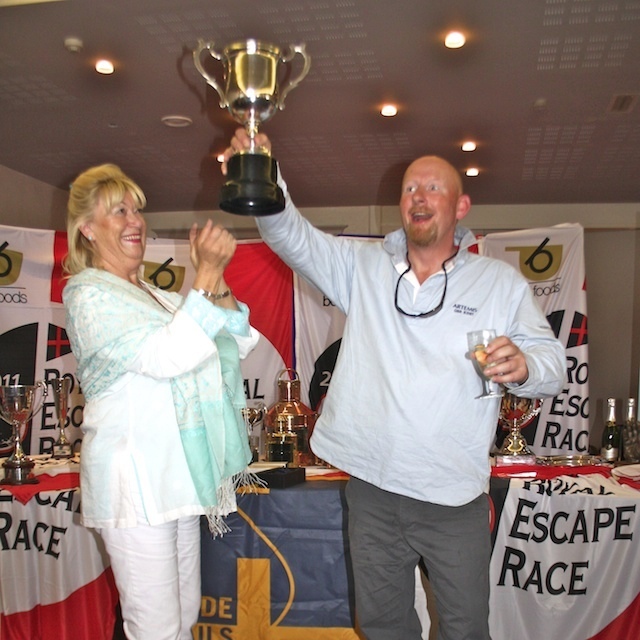 The charity 'Sussex Sailability' is traditionally the main recipient of the race surplus and have come to rely upon income from The Royal Escape Race as a very important element of their fundraising. In the run up to the race we enjoy extensive press and other media coverage such as local radio interviews, which combined with the traditional annual nature of the event drives significant traffic to the race website where supporters are given their own pages with back links to their main websites. The supporters pages also feature a banner ad space and lead sponsors are able to have their banners also included in the rotator carousel display that features on all the other RER pages. Supporters logos are also included in the race paperwork and we undertake to do all we can with regards to logo and display material at the events in France.